We offer small, medium, and large dog facilities as well as cat facilities. Print and sign ahead of time and bring it when checking in your pet. Need to get in touch with us? Call us or fill out our contact form. Welcome to Robinhood Kennels and Cattery! We are a dog and cat boarding company that has been serving the Tallahassee area for over 40 years, treating each four-legged friend as one of our own. Our five separate climate-controlled buildings are designed to give your best friend plenty of space and comfort while you’re away. Travelling and can’t take Fido with you? Working extra hours and won’t have time for a walk? Bring your pet to Robinhood Kennels and Cattery and put your stress at ease! 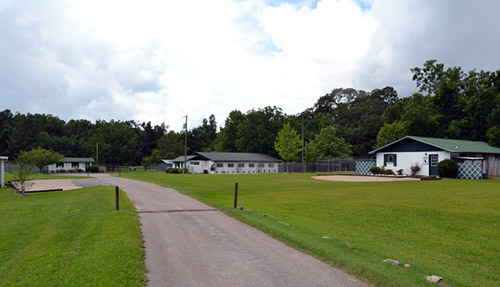 Our grassy runs, spacious kennels and professional, friendly staff are what make us the best place for doggy daycare and pet boarding in Tallahassee, FL. Since 1970, our mission has been to offer safe, clean and comfortable boarding spaces for pets placed in our care—all at a reasonable price. We uphold that mission today and we welcome your pet for as long as you’ll be away—whether it’s for an afternoon or a several-day stay. We’re a family-owned and –operated, local business. 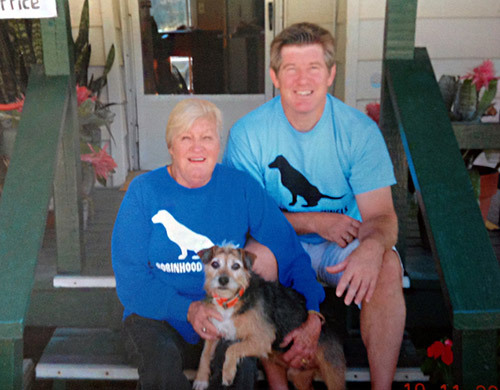 Our staff has a combined 40 years of boarding experience in Tallahassee. Our facilities stretch over five climate-controlled buildings and 90 spacious dog runs! We offer a separate climate-controlled cat building with an enclosed outdoor space. We offer discounts for multiple pets. We understand it’s important for you to know where your four-legged friend is staying. That’s why we always welcome tours during operating hours, and we’re happy to answer your questions! Robinhood Kennels opened in 1970 as a retriever training kennel that dabbled in boarding. The original facilities consisted of 16 outdoor half covered runs, 5 small indoor built-in block kennels, and a handful of wire cages for cats. For over 40 years of serving the Tallahassee area, this small family owned and operated business has continued to grow and improve. The present version of Robinhood offers 5 separate buildings with over 90 large runs for dogs, most of which are climate controlled, as well as another climate controlled building just for cats. Still our mission remains the same: to offer safe, clean and comfortable boarding spaces for the pets placed in our care and do so at a reasonable price. We are thankful to the many, many wonderful pet owners who have given us the opportunity to take care of their valuable four legged friends. We will continue into the future with the same dedication to outstanding care and service you have come to expect.